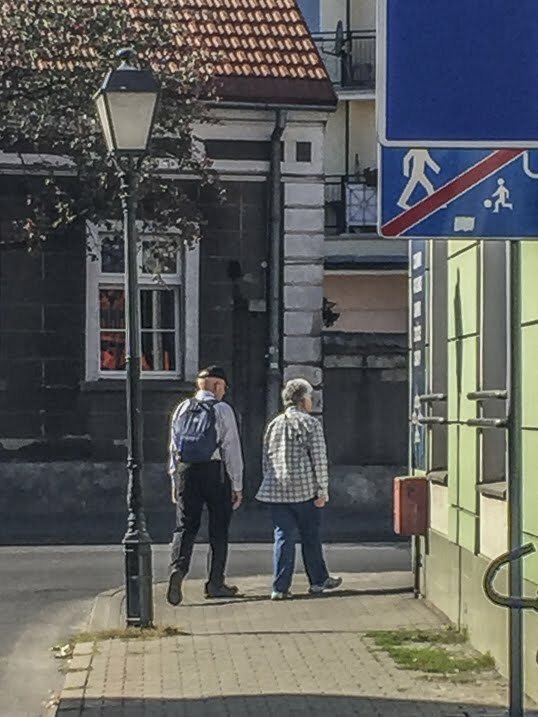 Poland: Traveling at the Speed of… My Parents! This is a story by Jennifer Shoer aka Scrappy Gen, who runs genealogy services as Reconnecting Relatives, LLC, based in the US. This is originally published on Jennifer’s blog: The Scrappy Genealogist. Jennifer travelled with PolishOrigins in September 2016. Jennifer is another professional genealogist we assisted in genealogy tour in Poland. A year before, Mike Mierzwa (and his wife) traveled with us and they plan to return this year for even longer trip. Buckle your seatbelts! We are traveling at the speed of my parents. Oh, did you think that speed might be slow? Not with my parents. They may physically move at a slower pace than me, but they travel with the purpose and intensity of a rocket trip to Mars. We spent two weeks in Poland and Germany with a small day trip to Austria. During that time, we visited eight cities and numerous villages; researched our family in archives in Płock and Włocławek (Poland); spent time with six new (to me) cousins (ages 8 months to 95 years); crawled through overgrown cemeteries and the locations of long gone villages; and even did some sightseeing.